MOSCOW, the Russian Federation, (BulgarianMilitary.com) – Russian Northern Fleet will receive the first Arctic Short-Range Air Defense (SHORAD) Systems – Tor-M2DT, next week, on 22 November. This was reported today by a source from the military-industrial complex cited by the state-owned news agency TASS, learned BulgarianMilitary.com. This confirms the earlier statement made by the Russian Air Defense Force Chief Lt. Gen. Alexander Leonov, who announced in October that the first battalion of Tor-M2DT Arctic air defense missile systems will enter service with air defense units in November. Then, he also revealed that the first deliveries will be made in a ceremony on the premises of the 726th air defense training center in Yeisk, the Krasnodar Region. 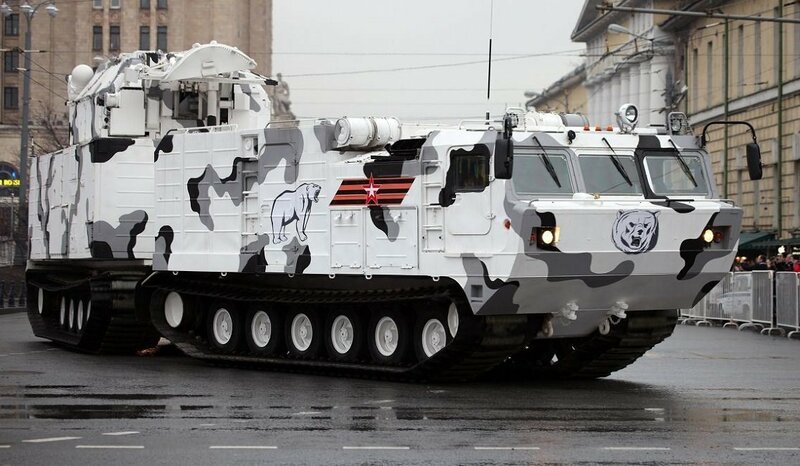 Tor-M2DT is developed by Izhevsk Electromechanical Plant KUPOL, a subsidiary of the Russian state-owned company specializing in the arms industry – the Almaz-Antey Concern. It is the Arctic version of Russia’s Tor-M2 missile system based on the chassis of the DT-30PM-T1 articulated all-terrain tracked carrier, which provides the system with the capability to stay operational at temperatures of down to -50°C, in harsh conditions of the Arctic and the Extreme North. Again, due to the unique DT-30 tracked chassis, Tor-M2DT is capable to pass water obstacles, to negotiate ditches and to cross country areas. The system, which is designed to operate as ballistic missile defence at the battalion level, in manual as well as in automatic mode, is equipped with 16 vertical-launched air defense missiles with a range of 12 kilometers and an altitude of up to 10,000 meters. Tor-M2DT monitors the airspace autonomously and hits all aerial targets that have been identified by the friend-or-foe system, within seconds. A fact that was confirmed in the beginning of the year when the initial test of firing that include more than 30 test launches, were conducted at the rocket launch and development site in Astrakhan region – Kapustin Yar.